On this Second Sunday of Easter, Jesus greets his disciples with the gift of peace. He then calls on them to continue His work teaching about the Kingdom of God and the art of self-sacrificing love. As Jesus was sent by God, so Jesus sends his disciples. Sister Laura is a woman who has responded to this call with steadfast commitment. 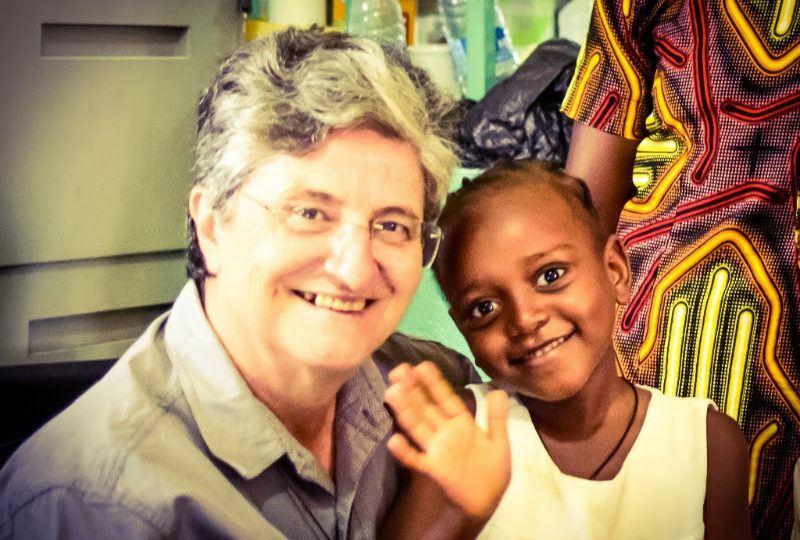 A Comboni missionary sister from Italy, she spent 28 years serving as a nurse in Ethiopia before arriving at St. Theresa Hospital in South Sudan in 2012. The language of heroism and sacrifice is laden with cliché and hyperbole. How often we cast about such terms, accompanied by words like awesome, amazing, incredible. But how often have you met someone who truly inspires awe in you? Whose daily life amazes, whose daily life is scarcely believable for its commitment, hard work and nobility? It would be impossible to do justice to the challenges of running a hospital here in Nzara, a town in the west of South Sudan. Within a scarcely known country, this is a quiet, forgotten place, as far removed from glamour and the cutting edge as is possible. It is here that Sister Laura works, every day, without a break, running the hospital of St. Theresa. St. Theresa hospital is run by the Comboni missionary sisters of Italy. This is a religious order that once trained 150 young women a year to serve communities all over the world, to act as nurses primarily, founded on the principle of developing local healthcare. Nowadays the order trains a small fraction of that. For young people the concept of commitment and sacrifice required to serve in Africa, as Sister Laura has done for 33 years, is becoming alien, unfamiliar, from a different era. Sister Laura has been at the coalface of charity every day, metres and moments from the action, always ready, always vigilant for 33 years. She has done more, with little recognition, for the forgotten, for the poor, for the wretched, than I can comprehend. I don’t think sacrifice really encapsulates it. She has given up everything that we consider part of modern life, except for her love of Italian food. 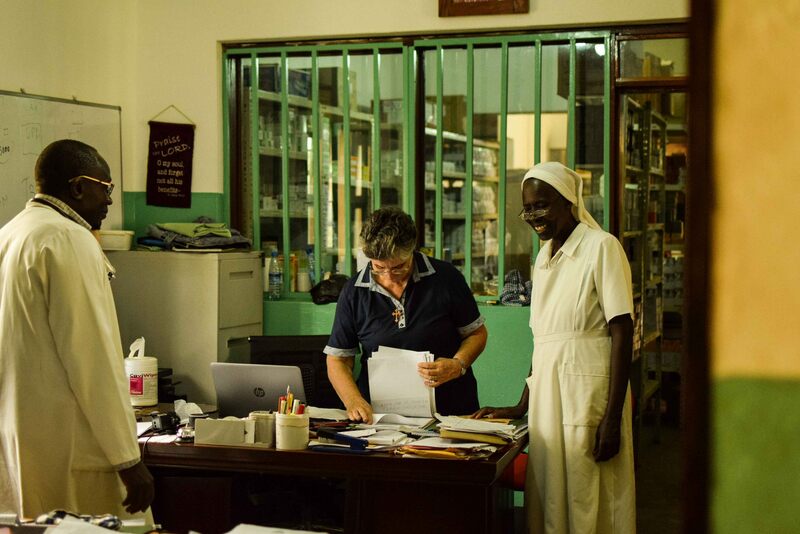 Sister Laura runs St. Theresa with every effort to empower local people, relying on foreign skills only when absolutely necessary such as the case with doctors, in which field South Sudan has one doctor per 65,000 people, 250 times fewer than the UK or US. She seeks to train young people, sending them away to nursing schools, hiring out of work school leavers to learn skills on the wards. She expects much of them and can appear an angry parent in front of naughty children on testing days. And the price for such a devotion is borne by Sister Laura as she takes responsibility for all the affairs of the hospital, both small and large. Whilst she trains people, whilst she continues to inculcate values such as punctuality and probity in her workforce, she must remain alert to the threats of corruption, to the dangers of systems ignored, rules disregarded. Every day, she handles the crises healthcare institutions face in this country. The water pump fails, the mobile phone network is disconnected, drugs are unaccounted for, staff are absent, and the list continues. She is the bulwark against chaos here, the most impressive, extraordinary gatekeeper holding back forces at the gates, forces that would wash over this hospital and destroy the work of generations. Sister Laura is so firmly rooted in the soil of Nzara. She cares so deeply for the hospital and for the people of Nzara. She told me early on, “these people have suffered too much…”. She rarely misses the chance to ask about a sick child, rarely passes by a child without a kind word or beautiful touch. The title administrator has never been so lovingly interpreted. But her attitude cannot be sentimental and glorifying of poverty and hardship. She owes it in her heart to the people who have suffered so much to impose rules. If she stands down, relaxes, drops her guard, they suffer more, even if it breaks her heart to have to mix compassion with steely, unyielding nerve. Every day, I hear her berating the guards for letting people into the hospital out of visiting hours. She turns people back on the way to wards. She lectures, she admonishes the failings of staff. She is no soft touch. Her compassion and care for these people demands much. It is this combination of compassion and strictness that I find so extraordinary. She stands firm, she stands tall, in the face of threats from all directions to the work she does. She never allows despair to sneak past the gates, she never expresses pity or self-pity. She believes, sometimes in the face of evidence, that this country can progress. I sometimes can’t believe she exists. I sometimes wonder if perhaps I imagine her existence. But then I see her at her desk, working when most of the rest of us have gone for lunch; I see her juggling a dozen items; I see her stand unbending before a challenge. When the water runs out, she prepares the buckets; when the electricity fails, she prepares the candles; when we lose hope, she is there unwavering in her mission. I don’t call her a hero. I don’t need to. She wouldn’t wish it. Today, we celebrate those who respond to His call – people like Sister Laura. Look for the true heroes in your midst and hold them up for all to see. They are the ones who can help light up our world. 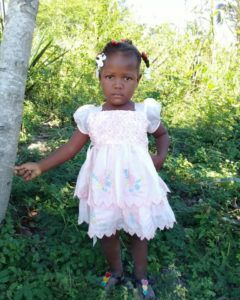 Ronaldine is three years old and would love to start preschool. Unfortunately, her mother’s priority is feeding her children. There is never enough for school. You can give Ronaldine the chance for an education and a brighter future. Purity lives in a remote and poor community in Kenya. 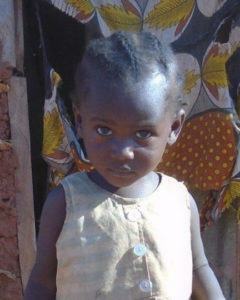 She is not getting enough nutritious food to eat and clean water to drink, and her health is at risk. You can help make sure she gets the chance to grow up healthy and strong. When Luz Pamela was just five months old, she had an accident that caused permanent brain damage, affecting her mobility and speech. She needs specialized therapy that her family cannot afford. 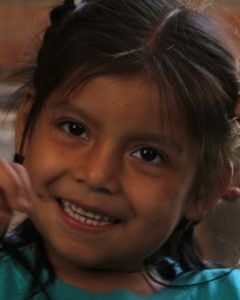 You can help ensure she lives a healthier and more dignified life. *Today’s reflection was adapted from and inspired by Ligouri Publications.